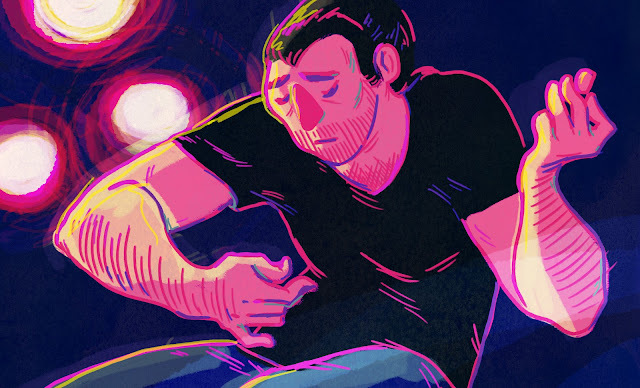 I went to a small concert the other night and I kept noticing that the musicians' skin turned hot pink under the lights. So I made a little illustration to play around with some colors I usually avoid. I didn't bother drawing in his guitar; I think it's more interesting without it. lyd, i'm pretty happy with it myself.